We recently published our TFS Web Access Client via HTTPS to the outside world. Everything was working fine until we pressed the “Edit Query” button. A Internal Server Error (500) appeared with the extra info “Request was rejected by http filter). We are using Microsoft TMG server to publish the Web Access Client. 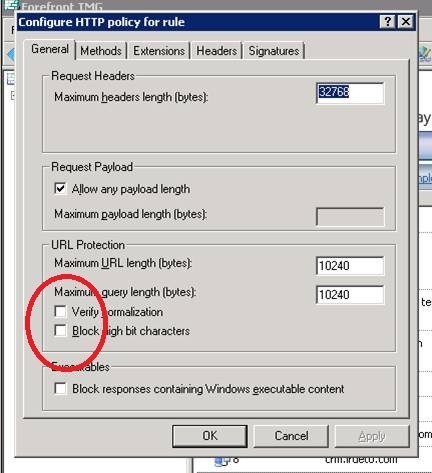 After searching a while it appears you have to configure the publishing rule in TMG for the Web Access Client as follows. Make sure that Verify Customization is unchecked!